DIGITAL REVOLUTION: In the future, you may pay through your digital lifestyle. 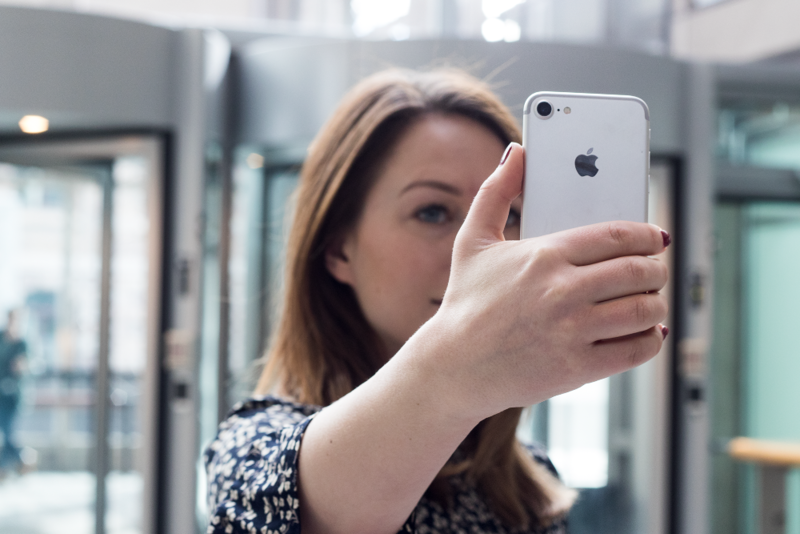 You may soon be able to pay taking a selfie. Have you ever struggled to remember the code of some of your many credit card? Soon digital payments will be introduced, using the vehicle key or your wrist to approve payments. New payment will make your life easier and faster. The development of new forms of payment is now happening so fast that many call it a digital revolution. While we previously could only pay with physical cash and common bank or credit cards, new and creative methods of payment are constantly being invented that will change your way of behavior. Europe is at the forefront when it comes to digital payments, says Javier Perez as head of MasterCard Europe. In 2020, the company expects 38 percent of payments in Europe to be digital and that e-commerce will increase by 55 percent. This also reflects the smartphone subscriptions to increase from 1.9 billion in 2013 to 5.6 billion in 2019. Europeans not only require simple and smart ways to pay, but they also require a solution that makes digital life easier, says Perez. In the future you will therefore see new creative methods which will make your face or eyes play a much bigger role in how you pay. Together with our partners we are at the forefront of changing people's payment methods. The great interest we see for our solutions, affirms our efforts in creating more simple and safer payment methods that works any way the consumer wants to pay, says Perez. While you previously had to fiddle around entering the card number and code to pay on the Internet, you will soon be able to authorize a payment digitally using biometrics, by for example taking a picture of yourself. Snap away: Soon you can make a payment by taking a picture of yourself. Taking a selfie to pay was just a few years ago "science fiction." But already now it has been successfully tested in the United States and the Netherlands where you can pay by taking a selfie through Mastercard Identity Check, often referred to as "Selfie Pay." Mastercard operates with the world's fastest payments and connecting consumers, financial institutions, merchants, governments and businesses in over 210 countries and territories. MasterCard's digital payment makes trade between consumer and dealer easier. Selfie payment is not the only biometric payment solution Mastercard is working on. Other biometric data collection devices will in the future also be adopted. Among others, it will in the future be possible to authorize a payment by the pulse, eyes or voice. The exciting part using biometrics, such as heartbeat or selfies for identifying, is that they have the potential to make payments even easier and safer, says Mats Taraldsson, who is Digital Business Development Manager of Mastercard for the Nordic countries and the Baltics. Pay with your car key. While many people try to get you to use a particular payment app on your phone,Mastercard does not want to limit themselves to a particular payment device. The company has launched a new affiliate program that allow companies to develop various gadgets to pay with. ALL IN ONE: In the future, bank or credit card lying inside the car key or pulse watch. 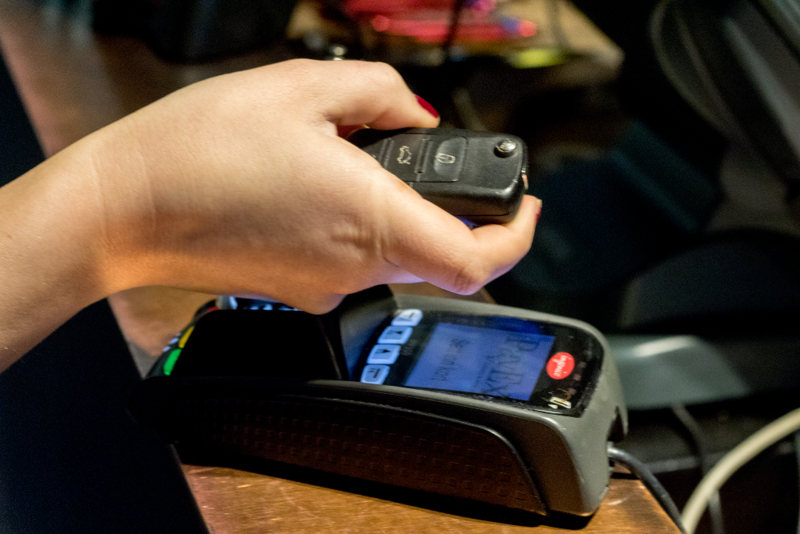 The technology behind this type of payment is called NFC (Near Field Communication) and works by adding a small antenna that communicates with the card terminal, which you must pay. This means that once you have added such an antenna, your embedded card sends over the payment information. You may already have tried payments via these new remote bank and credit cards, but in the future, this payment method will also be possible on the ignition key, fitness bracelet or wearables.